My feeble attempt at doing some shopping in Nottingham hasn’t exactly been productive. 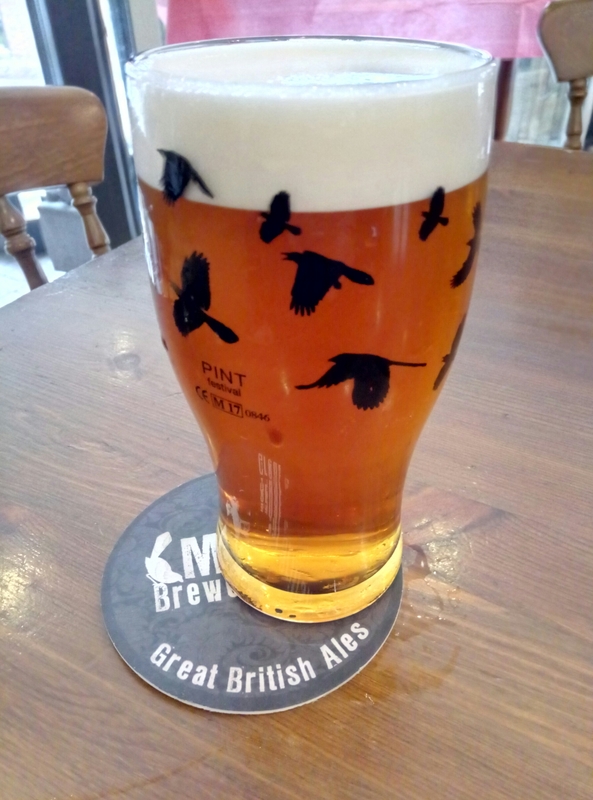 However, my (vegetarian/vegan) pint of Magpie Best in the Crafty Crow is quite delicious. Apparently, this pub, run by the Magpie Brewery, is the big brother of the Doctor’s Orders micropub. It’s rare to find unfined beer on hand-pull, so I’m hoping I come across their beer at home. While I’m here, I may as well sample the cherry breakfast stout. Addendum: the cherry stout is smokey and fruity, very nice. Addendum II (is that allowed? 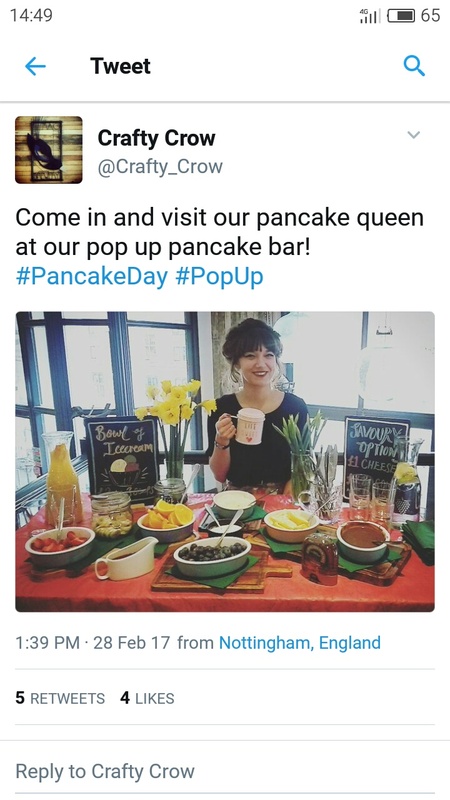 ): Following a filmed pancake interview, the pub staff took pictures. This entry was posted in Beer, Vegetarian/Vegan on 28/02/2017 by garymoore. I’m in transit to meet my second in command, well having a sit down while on my way to meet my second in command. 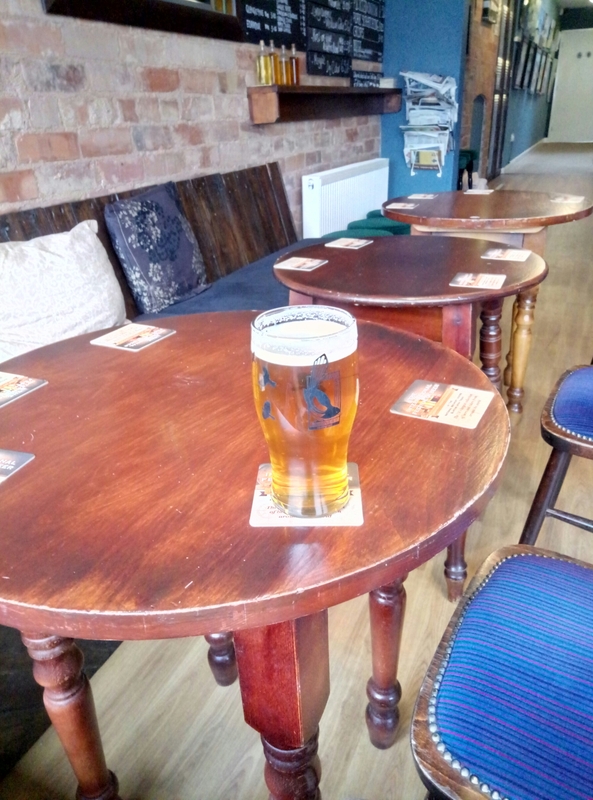 In the Doctor’s Orders, a very nice micropub just outside Nottingham city centre. 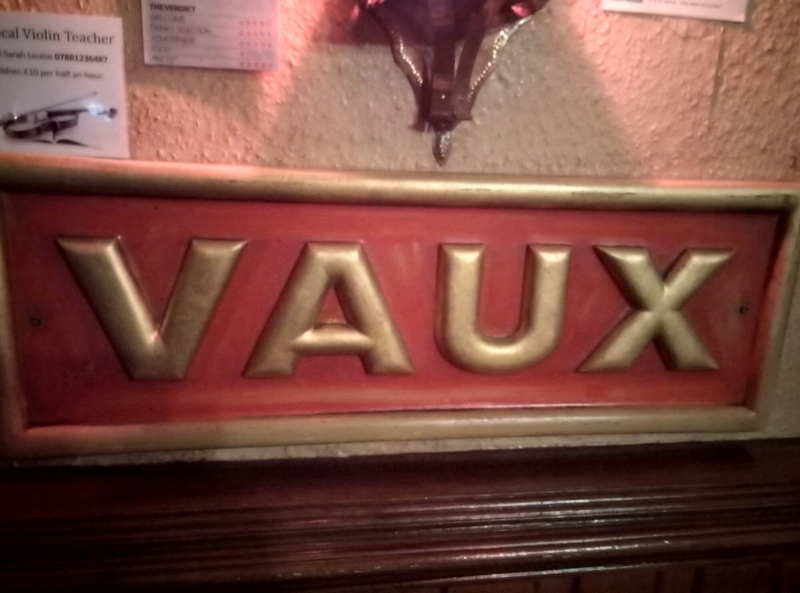 I’m having a lovely pint of Magpie IPA. Earlier, I stopped off at a Wetherspoon’s, by the canal. For coffee. I last called into that bar in 2005, when I was here for an Eels gig. We’d almost stole a table number (for the kitchen table), but conscience (and security cameras) deterred the theft. 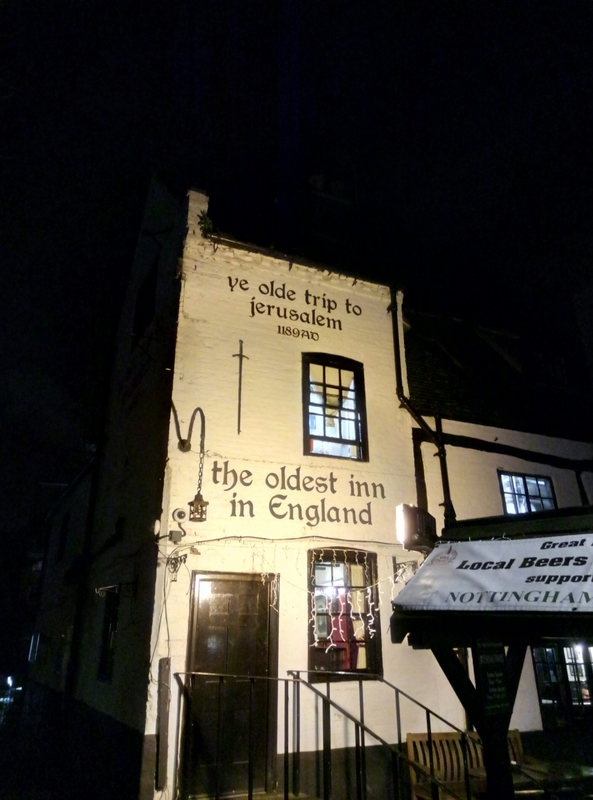 Last night, we visited Ye Olde Trip to Jerusalem. 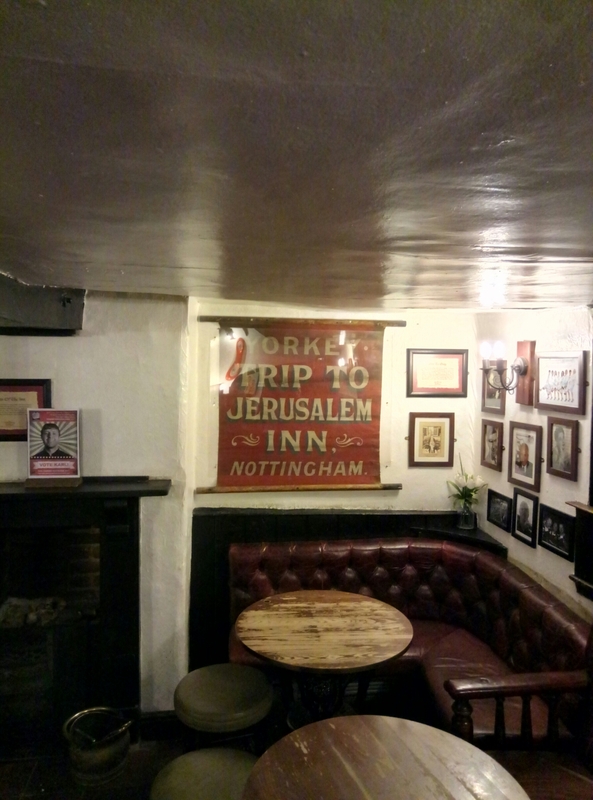 Allegedly the oldest pub in England. 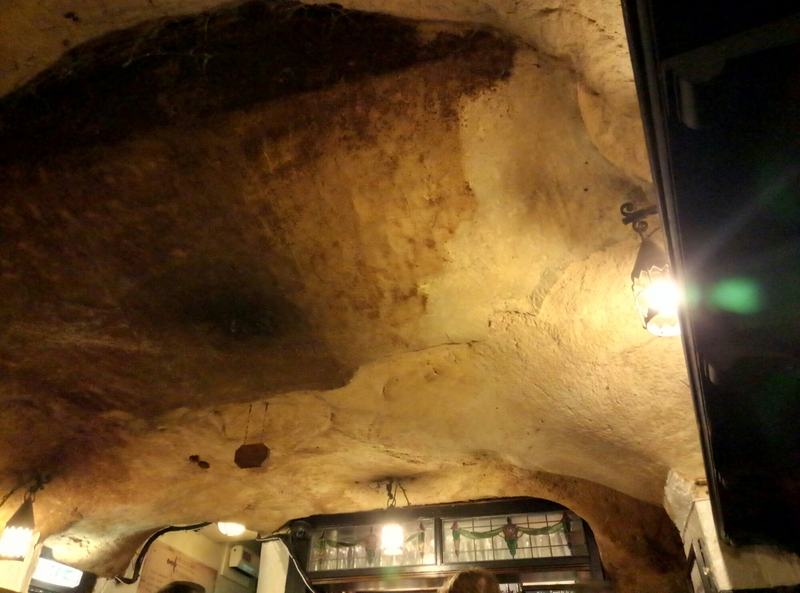 The only pub built into a cave I’ve ever been in. 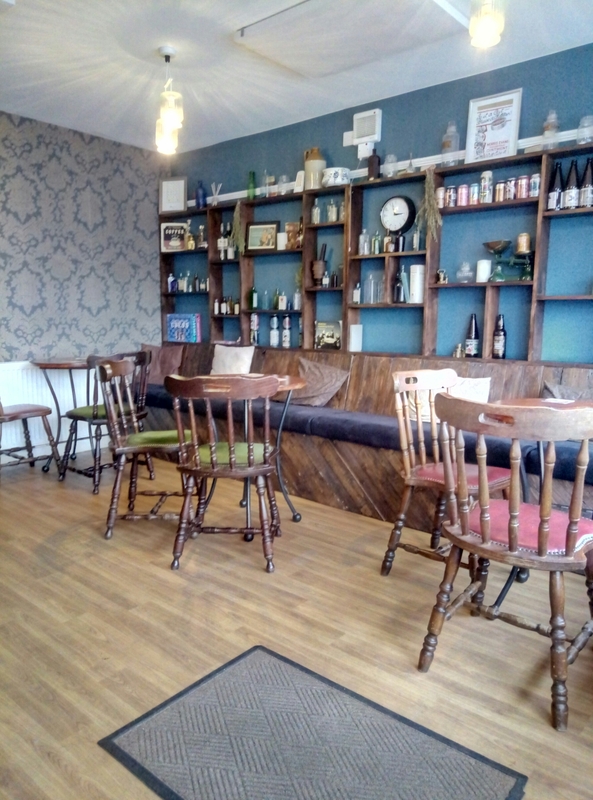 This entry was posted in Beer, History, Pubs on 27/02/2017 by garymoore. High Fell social club, just down the road to us, closed a while ago and has since been converted into flats. I’d never set foot inside the place, but I do recall a time when such places were a (bustling) social centre in most northern towns. Social clubs had their problems, of course; they were inherently sexist until recent years and most simply haven’t kept up with the times. 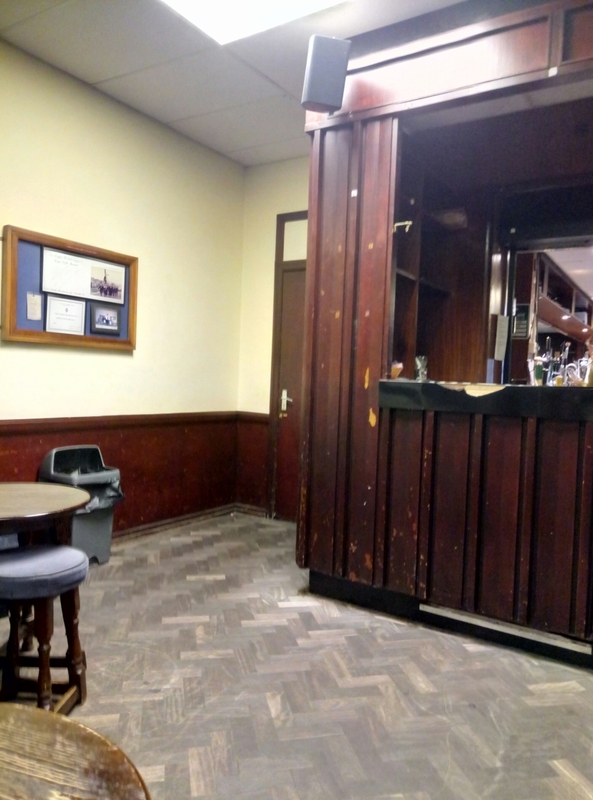 A couple of years ago, I visited Kings Cliffe ex-servicemen’s club. I can’t say it was very busy, but a band was playing and the evening must have been reasonably profitable. There was a second visit last night. It wasn’t a busy night. But at least they now have a decent selection of Sam Smith’s beer. At a very reasonable Â£2.20 a pint. Alas, probably not for much longer. Surely the place can’t survive much longer. 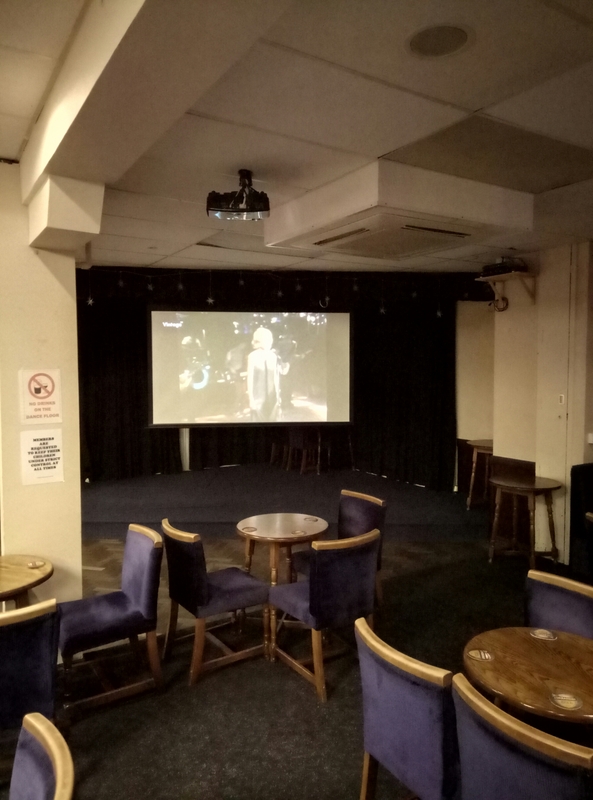 This entry was posted in Beer, History, Pubs on 26/02/2017 by garymoore. The mystery deepens. It transpires that I’d committed to two Nick Cave tickets. I’m uncertain as to whether the second ticket was intended for Peter (who can’t make it anyway due to a football clash) or my second in command. So, my second in command will be going to see Nick Cave and his fellow Bad Seeds with me and two gentlemen. It’ll be interesting, simce my beloved is quite unimpressed with Mr Cave. This entry was posted in Music on 23/02/2017 by garymoore. 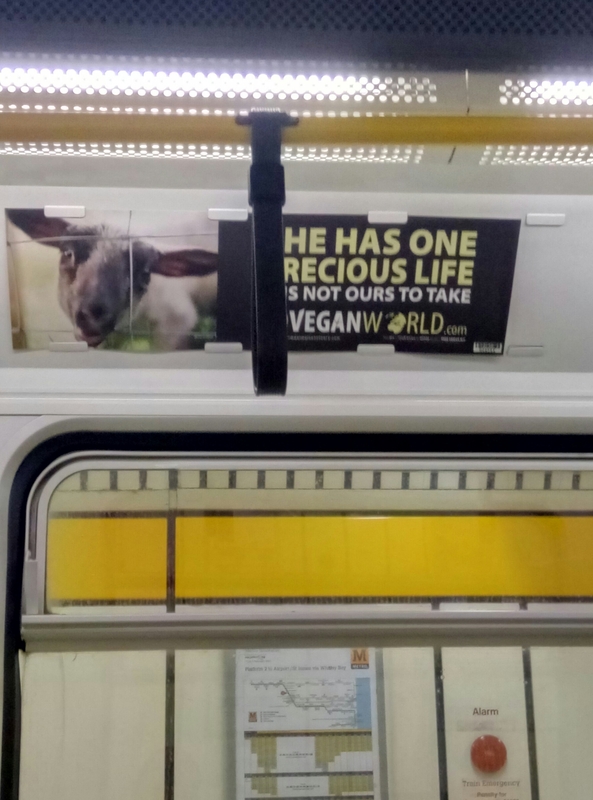 It’s nice to see pro-vegan advertising on the Metro again. This entry was posted in Ethics, Vegetarian/Vegan on 23/02/2017 by garymoore. While in my local to see a band the other night, I bumped into one of the regulars, Keith. After exchanging pleasantries, he mentioned that he’d bought a ticket for a Nick Cave and the Bad Seeds gig. 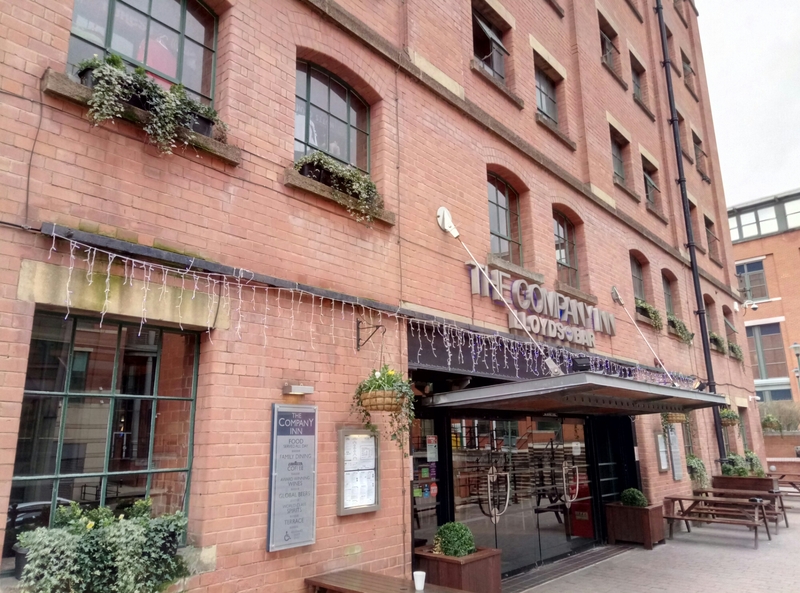 I enquired as to the venue and Keith responded something along the lines of Manchester, as we’d agreed. At which point, I had an extremely vague recollection of a conversation about the Nick Cave tour last week. Not wishing to expose my lapse of memory, I said that I’d not yet had an opportunity to buy a ticket. And all was well. My memory, after alcohol, is clearly even worse than I could have imagined. I now need to remember to reimburse Phil for the cost of my ticket. Thinking positively, though, it seems that memory loss may be normal for a gentleman of a certain age. This entry was posted in Music on 20/02/2017 by garymoore. Elbow’s latest album, Little Fictions, disappointed me when I first listened to it. It’s very old style Elbow and lacks the usual couple of tracks that jump out from the rest. But I’ve now warmed to it. Like I say, it’s old Elbow, but at the same time it’s better than their old stuff. The album may never become a favourite of mine, but it’s grown on me. 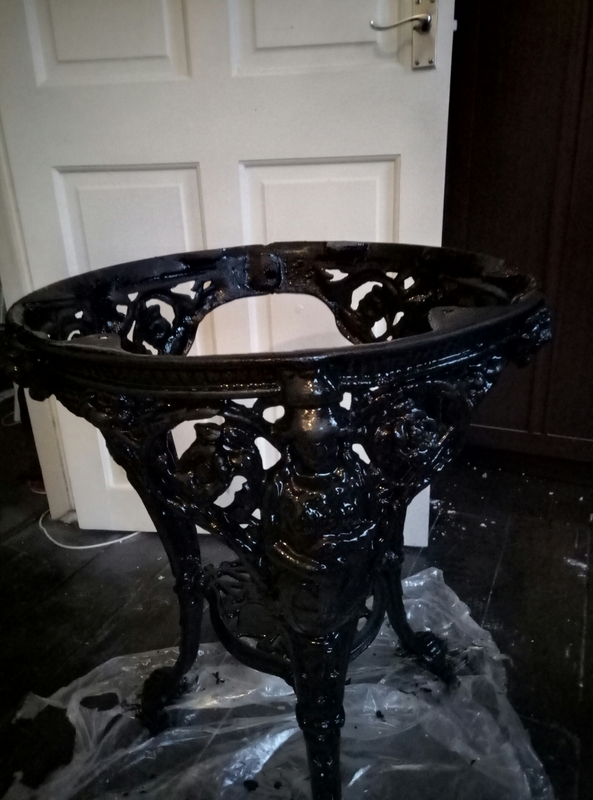 Our new coffee table’s looking good. 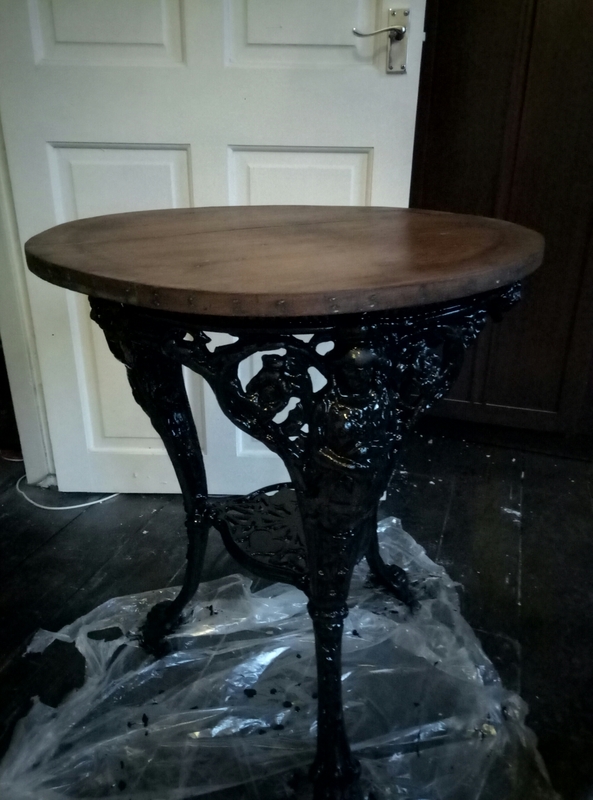 This entry was posted in Doing stuff, House on 18/02/2017 by garymoore. I went to see the dentist today; for a filling. When I was seated in the chair, she asked whether I would like anaesthetic. Or not. On observing my expression of sheer terror, she said that I could try a filling without an injection, but that I could signal for anaesthetic should I experience any discomfort. Since my new dentist is a five foot tall twelve year old, I felt it necessary to feign courage and decline the injection. She then pointed out that I only had to raise an arm if I needed her to stop. Unfortunately, I couldn’t stop myself from assuring her that, if I felt pain, I’d wave both arms in the air. And it didn’t hurt at all. Which meant that the experience was over very quickly. Much to my second in command’s surprise (she’d been in the dentist’s chair for forty minutes or so). Since I’d decided not to return to work, I went home to for lunch. Acknowledging that a trip to the dentist must be followed by a pint of beer, I had a walk to town, via the chemist. My visit to the chemist was non-tooth related; I needed to pick up stronger blood pressure medication. Yes, sadly my new drugs aren’t quite working as well as expected, so the strength needed to be increased. Once more my argument that I have a superhuman, highly evolved and efficient, vegan heart failed to persuade my doctor that I don’t need medication. While in Boots, waiting for the pharmacist to finish a consultation with a terminally ill man (he seemed to have a cold), I noticed the steady trickle of young men who appeared to be queue-jumping by securing service via a secret door. And then I observed one young man tear open his prescription bag, remove a small bottle and drink the contents in a couple of gulps. Ah, methodone. After my prolonged stay in Boots, I had a walk down to Station East, where I had a very nice pint of Budvar. Followed by the Central and an excellent Out There beer. I realise that’s two pints, rather than a usual single post-dentist pint, but there are reasons to make an exception. 1. 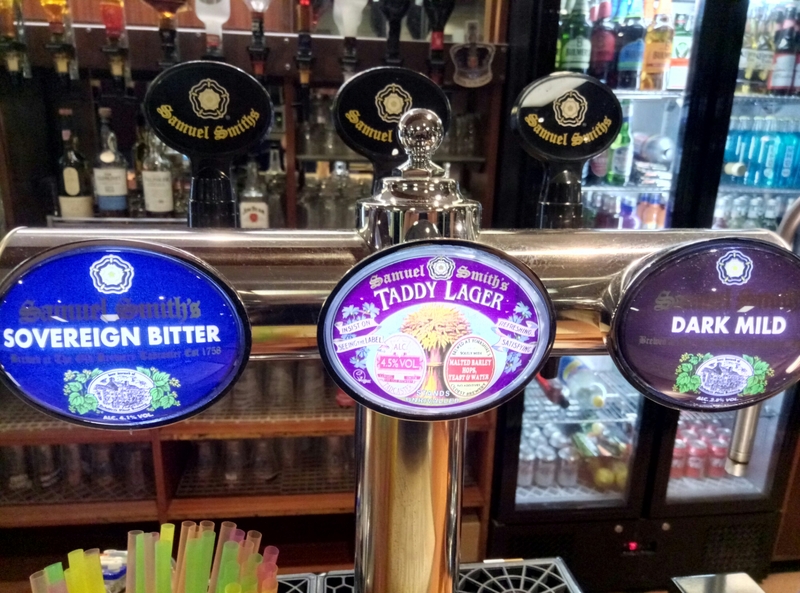 The post-dental pint traditionally occurs in the Isis (or Ship Isis, depending on which variant of the name you prefer), in Sunderland. The need for my second in command to return to work necessitated my post-dental pint taking place in Gateshead. 2. The additional stress endured when the no anaesthetic option was presented to me could not be allieviated by a single pint of beer. 3. There’s a direct correlation between the amount of beer I drink and reduced blood pressure. Oh, I did say I was walking to town didn’t I? The Box Social it is then. And why is it so commonly referred to a dentist’s chair, when the dentist isn’t the one in the chair? This entry was posted in Beer, Health on 17/02/2017 by garymoore. While my resolve was strong, I was drawn into Fanny’s Ale House. An amazing choice of beer (Berliner Pilsner for me) and a great fire. And a link to the Northeast too. 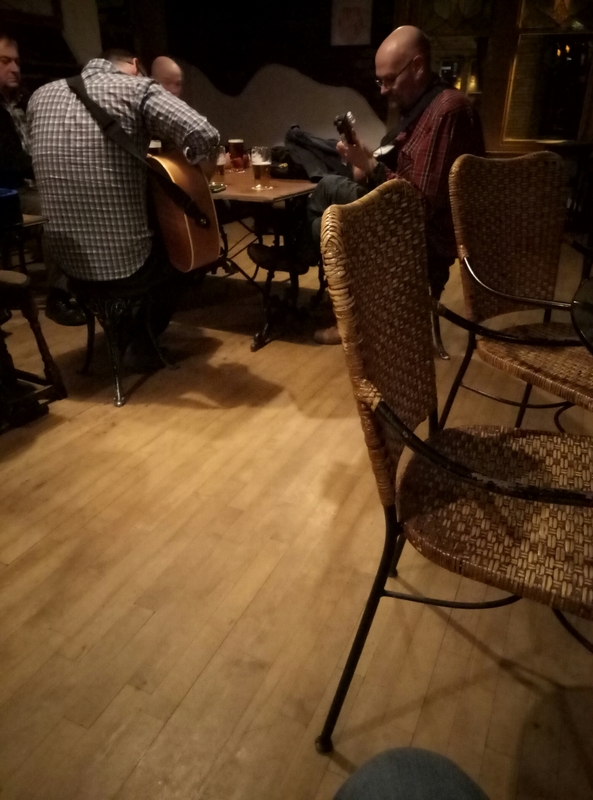 And some blokes playing guitars and ukeleles upstairs. 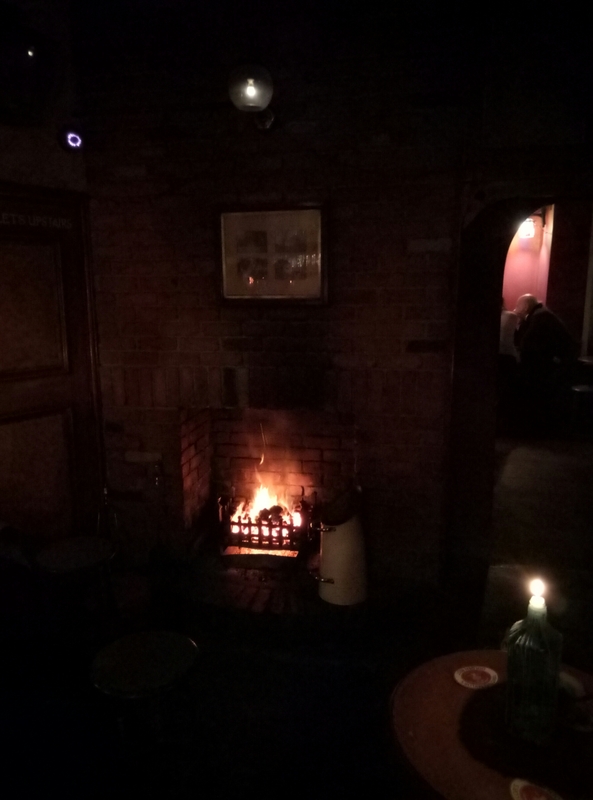 This entry was posted in Beer, Pubs, The North on 14/02/2017 by garymoore.